Whether you want to save time, increase personal safety, or reduce weather related discomfort, remote starters are best alternatives to conventional keys. Out and about on a blazing hot day or taking shelter on a snowy one? No one wants to melt and get all sweaty in a stuffy hot car that’s been sitting in a parking lot, nor freeze to death in a car parked on the curb during a snowy day. Relieve the greatest of these troubles with a button’s click from the comfort of your own home. You don’t need to buy a brand new luxury car to have the convenience of a remote starter. Check out our list of the best remote car starters that can be self installed or easily installed by a electronics pro near you. Here are the all around best remote starters of this year. They are spendy, but the next best thing to purchasing a new vehicle that already comes with the feature. Compustar makes a well priced remote start system that comes with two remotes. For around $40 bucks, you can get this system, and for another $40 you get the car security alarm feature. Either way, these prices are hard to beat. A fair price and good quality puts this starter in the running for the very best remote car starter. With this remote starter system, you get two 4-button remotes, hot/cold automatic start from up to 1000 feet away (enough range to stay comfortable in your home or office while your car’s interior heats up or cools down), keyless entry, and trunk access. To enable remote start, you press the key button for 2.5 seconds to remotely start your engine. Obviously lock and unlock work as expected, and you hold the trunk button to pop your trunk or activate your truck’s power liftgate. Another neat feature with this system is that it can be paired with the DroneMobile (DR-3400) product to add smartphone control and GPS tracking. Installation wise, this is one of the easier remote start systems to install, but it’s no piece of cake. If you do not have experience with car electronics (or a short temper) we suggest paying for a professional remote car starter installation from a place like Best Buy. If you consider yourself a DIYer or are set on saving yourself a couple hundred bucks on a professional installation from electronics install service like Geek Squad, the Bulldog remote starter is a great option. As long as you have an automatic transmission and the motivation to get the job done, you’ll be able to get this remote starter functioning. This 2-button (start/stop) remote transmitter comes with an instructional DVD as well as a full install kit with everything you need. This unit works to distances of up to 400 feet. It is a good option to use alongside an OEM keyless remote. Bulldog put a lot of thought into making this as easy to install as possible. Once the install is complete, just add the remote to your key ring and start up your car from your office or home. Boom. You’re no longer freezing or sweating away for the first 10 minutes of your commutes. The AVITAL 5303L is an excellent mid ranged Security and Remote Start System. This package comes with one remote with a LCD screen and the other 4 button remote. As with most remote start systems, you get the ability to warm up your vehicle’s engine and transmission from the comfort of your home or office, but it comes with some extra bonus features too. The LCD screen will display warning icons if the doors, trunk, or hood are left open. 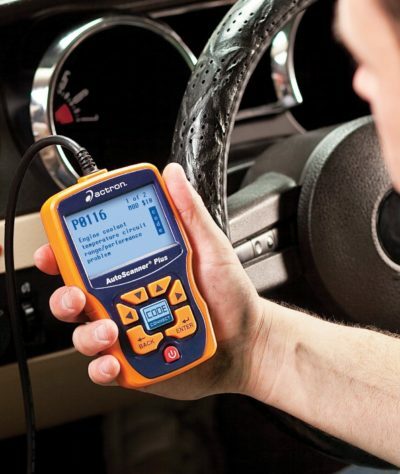 The shock sensor allows your LCD remote to warn you if your vehicle is being tampered with. Furthermore, the shock sensor can be set to issue warning chirps for minor bumps and issue a louder alarm for more serious disruptions. This means not only will the alarm be tripped at the physical location of your car, but you will also receive notifications on the key fob’s LCD screen. This is an excellent and well designed system, but we suggest seeking installation help from Best Buy or other electronics professional. It is difficult to install unless you are very handy and/or have worked with car electronics before. Install difficulties aside, this certainly is one of the best car starters out there. The Viper 1 Way Remote Start System (Model 4115V1B) comes from trusted brand Viper. Viper is definitely one of the best when it comes to auto gadgets. A Geek Squad professional installation at your nearby Best Buy is included with this purchase. This car starter has an excellent usage distance of up to 1500 feet. Viper’s Xtreme Capacity Relays technology means that no matter how bad the weather is, you’ll be able to communicate with your car at this distance. This remote starter allows you to cool or warm the car without the need to leave your home, use the car finder if you can’t remember exactly where you parked, and also includes the Valet Takeover feature. The Viper 4115V1B is great for use with a OEM (Original Equipment Manufacturer) keyless remote that are integrated into the OEM key. One of the coolest features about this remote start system is that you can couple it with the Viper SmartStart app. Then, using your smartphone, you get additional controls as well as the ability to locate your car from virtually anywhere. The Viper 5706V is one of the most popular remote start and car security system combinations out there. This unit slipped into our list of the best remote start systems for a number of reasons. It has a full one mile range. Yes we said one mile! Our favorite thing about this remote starter is the intuitive LCD display. This enables you to monitor and control your vehicle with ease. The five buttons can control a maximum of up to 24 different functions on two separate vehicles. Using the Active Temp Check feature, you can actually see the car’s interior temperature on the LCD display. This is nice, you can start things up a mile a way on a 110 degree day and enter your car at a comfortable 68 without losing any time. The Responder LC3 tech in this starter/security combo manages the security side of things. If anything happens to your car, the Responder LC3 notifies you right away playing the Revenger siren tone inside your pocket. You can even silence your vehicle’s siren alarm with the Silent Mode2 feature, and still receive notifications on your remote via the LCD screen. You can brave the installation yourself, but it may get tricky depending on the model of your car. We suggest following install info at the12volt.com if you run into any problems. Another option is using a service such as the Geek Squad from Best Buy but it could add another couple hundred in cost before everything is all said and done. There is a wide array of benefits to be had by incorporating a remote start system into your existing vehicle setup. The ability to heat or cool your car from the comfort of your own home or office is the big win here. Purchase a remote car starter and say goodbye to all of those mornings where you have contemplated calling off whatever you were planning to do just to avoid braving the weather to scrape the ice off your windshield. Buying a remote starter will make this occurrence a thing of the past because it allows you to adjust your defroster and heater from a remote location. This same concept applies to hot afternoons. If you are sick of sweating through your clothes while waiting for your vehicle to cool down, a remote car starting system is for you. OEM remotes often have fairly poor range. With a premium remote start system, you generally at least get a range of 1000 feet. This is really nice for those sorts of times when you are a couple levels up in your office building and not sure if you locked your car; or if you’re in a dark parking lot and want to light things up a bit with your remote start ability. Adding a remote starter won’t drastically increase the value of your car. But it is a perk that most vehicles don’t offer, one that could distinguish your car from others like it in the mind of potential buyers, whether it is a dealership owner or individual buyers. If you live in a cold climate, driving your car without letting it warm up can be hard on its engine, as its cold oil remains sluggish and doesn’t lubricate as well as it should, particularly in diesel engines. Of course, you could always start your vehicle in the absence of a remote starter. But having a remote starter ensures that you’ll preheat your car every time. Bonus features from more advanced remote car start systems include security and GPS tracking. We all have those crazy days where we’ve got a million things to do and end up forgetting where we parked. Locating your car is easy with GPS tracking. Security features help protect your vehicle from getting broken into or stolen. There was a time when remote car starters were only seen in movies, when mafia bosses or secret agents would switch on their engines from a distance to make a quick escape. Not anymore. Today, many manufacturers include remote starters in a number of models they make, either as a standard feature as part of the car security system or as an optional add-on. You can also buy one and have it installed as an after market feature from most car accessory retailers out there. Of course, skeptics will always say that remote starters, like spoilers, are yet another ploy for car makers to rip you off. Quite frankly, we think there’s quite a bit more utility in a remote car starter than a spoiler to soup up your ride. You get a lot of handy features, particularly for those of us located in extremely hot or cold climates such as Arizona, California, Michigan, or New York as examples. Defrosting and removing ice on the windshield from afar? That’s what we’re talking about. Let’s face it, bundling up to trudge out to the car in freezing weather, turning on the engine and then waiting as the vehicle warms up, can be a major hassle. Remote care starters, as their name clearly implies, allow you to start your car engine from a distance. When you press the button on the remote control, a radio signal is sent to a module installed in the vehicle. This turns on the ignition and warms up the engine. The module has a function that overrides the clutch if the car has manual transmission. This means that you can start your car and control the temperature even as you’re just getting up from bed and heading to the shower. The neat thing about many remote car starters is that they can be integrated with GPS tracking and security features. Many manufacturers offer standalone remote car starting kits and then combination security and remote start systems. Extreme temperatures are the best reasons for having remote car starters. For most car owners, they admittedly will remain a luxurious add-on for some time. But given the rapid advance of technology, prices continue to drop and installations get faster and go smoother. We think this will be a common feature in almost all new vehicles in the coming 5 to 10 years.